GLENMORE and Stanley Martin invite you to come join us in one of Charlottesville\'s most prestigious and elegant communities. Gated and tree lined streets welcome you home everyday. The Pennington enhances your day to day activities with and amazing and functional first floor mater bedroom home design. Shiny stainless steel appliances, granite countertops, 9 foot ceilings, all add to your everyday enjoyment of this home. Perhaps a glass of wine on our included covered deck is what you had in mind, regardless it is all available to you in your brand new home here at Glenmore. Convenient to everything and yet quiet and serene. Look no further and come visit or give us a call. Details about The Pennington \"e\"
Imagine arriving at Charlottesville\'s most prestigious community - GLENMORE. Your new Stanley Martin Home built with Distinctive and Highly desired included features. Kitchen\'s that are designed to bring out the Master Chef in you and strategically located within talking distance of the your spacious daily gathering area. Large wooded home sites to enhance your new backyard. Miles of walking trails inside the gates. Convenient to downtown, the famous Charlottesville Farmer\'s Market, minutes to top rated medical facilities and quiet, quaint parks. Shopping is around the corner in the Pantops area as well the 5th Street Station Shopping Center. Model Shown by Appointment Only. First-Level Living with breathtaking mountain views! This maintenance-free, amenity filled community is located in an convenient location, minutes to downtown, and offers beautiful views. 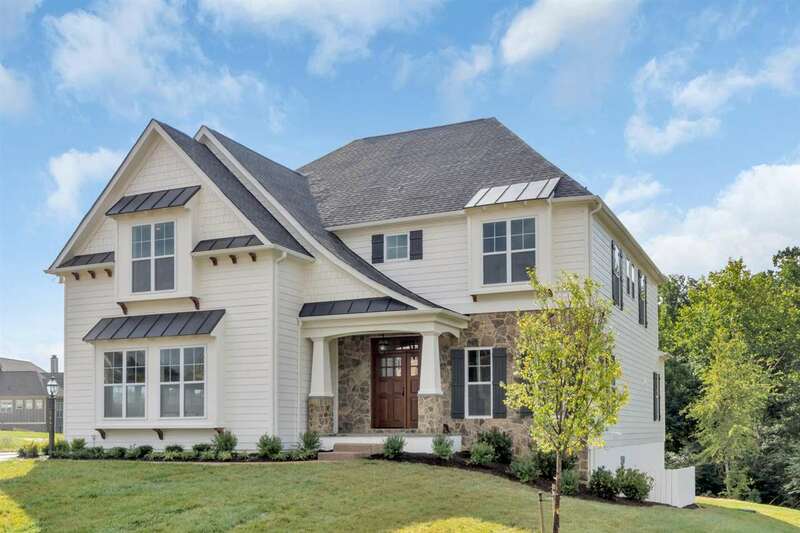 The Brookshire boasts an open main level with a first-floor Master, large Great Room featuring vaulted ceilings, an abundance of windows and natural light and spacious upstairs bedrooms. 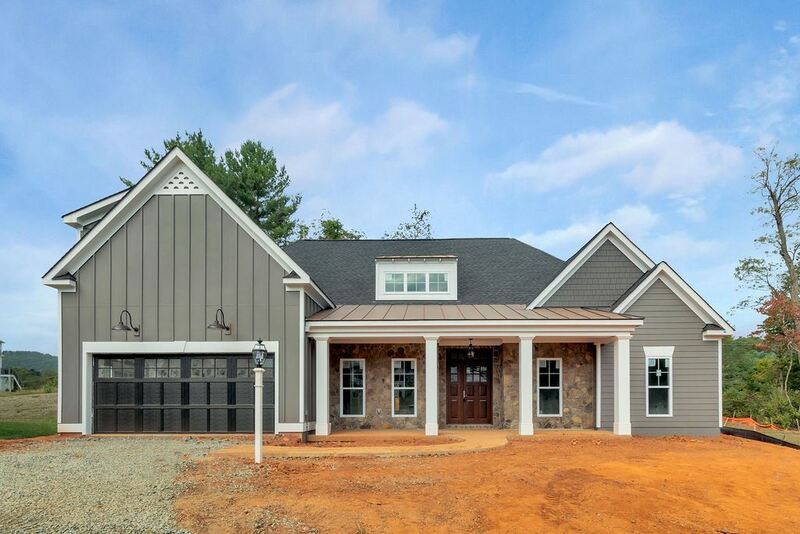 This home is to be built on a walkout basement homesite - finishing optional! Local Home Builder presents the PEMBROKE a proposed single family home in Hyland Park. The main floor offers a large open living area, eat-in island, informal dining, mudroom, study and first floor master bedroom. This is a great single floor living home with wide halls and doorways. The master shower is a zero entry without a step. The second floor of the home includes 2 bedrooms with 1 full bath. Evergreen Home Builder\'s standard level of finishes include: 3/4\" REAL hardwood floors on the main level and second floor hall, 48\" wall cabinets in kitchen w/dovetail drawers, upgraded carpet and pad, upgrade tile in bathrooms, stainless steel appliances, quartz countertops, 2x6 exterior wall construction, upgraded trim package. 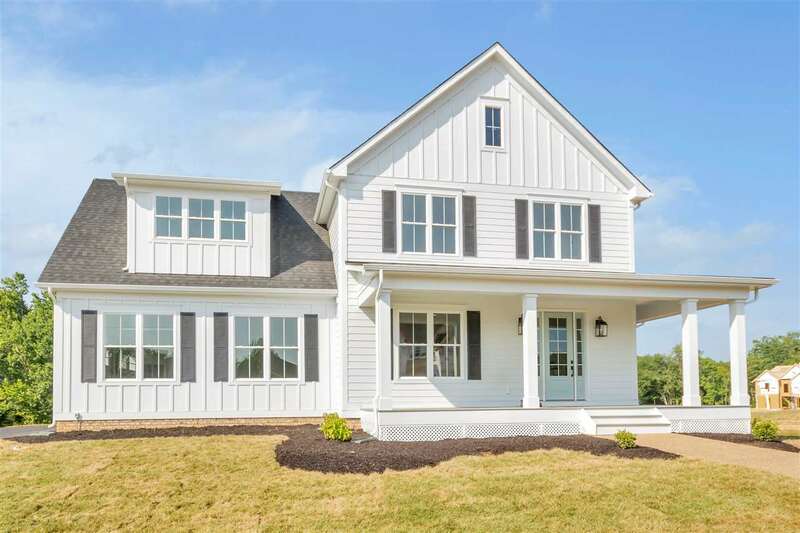 Our to be built McKenney plan @ The Reserve at Oak Hill Farm offers our popular MAIN FLOOR LIVING design w/ Master BR, Spacious Walk-In Closet & Luxury Bath + 2 BRs/Office ALL ON ONE LEVEL. Entertain in your Oversized Kitchen w/ Island & Breakfast Area, Large Family Room w/ Gas FP, Formal Dining Room, & Laundry off the 2 Car Garage. Unfinished Basement, 9\' Ceilings on Main Level, & many more included features. The Reserve offers 3/4 acre Homesites w/ Wooded Seclusion only Minutes from Downtown. Proposed single family home on lot 73 in Lochlyn Hill. The main floor of this home features a large open living area with fireplace, huge kitchen, eat-in island, mudroom and study. There is an oversized 24\' garage that will fit your SUV! The second floor includes 4 bedrooms with 3 full baths. There is a large storage area over the garage which can be finished as a bonus room. Evergreen Home Builders standard level of finishes include: 3/4\" REAL hardwood floors on the main level and second floor hall, 48\" wall cabinets in kitchen with dovetail drawers, upgraded carpet and pad, upgraded tile in bathrooms, stainless steel appliances, quartz countertops, tankless water heater, 2x6 exterior wall construction and upgraded trim package. Evergreen Home Builders presents the ST CHARLES a proposed single family home in Hyland Park. The ST CHARLES uniquely features both first and second floor master suites. The main floor master is equipped with its own laundry and walk-in closet. There is a kitchen island with seating for 4 that is open to the main living area and a large walk-in pantry. The second floor includes a walk-in laundry, 2 generous bedrooms, second master and a large storage area that could be finished as a bonus room or 5th bedroom. This home is built on a conditioned crawl space but you can add a basement to boost the square footage to 5,000+. Standards include: quartz countertops, real hdwd floors in common areas, 2x6 exterior walls, double hung windows! Build this plan or custom design your home with local builder in Old Trail. This lot is adjacent to open space and has mountain views and is walkable to the Village Center with restaurants, gym, etc. . Quality construction with a focus on craftsmanship and energy efficiency. Finish in place hardwood throughout main level, ample trim work, custom built ins, great kitchen, 9\' ceilings, and more. Open floor plan with 4 bedrooms up. Opportunity to finish more space in the basement. 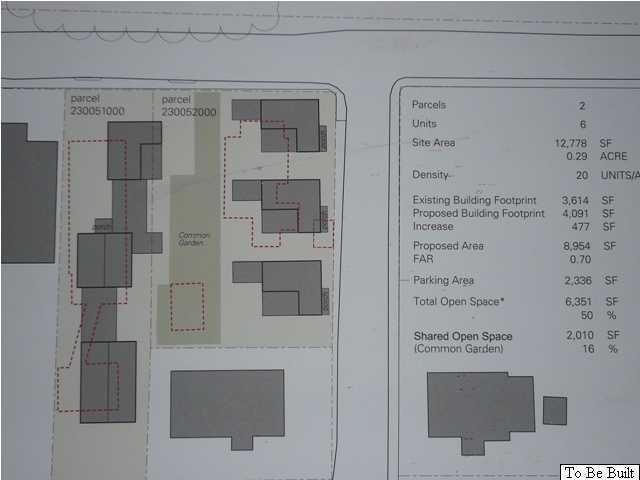 These lots offer traditional front loading attached garages. 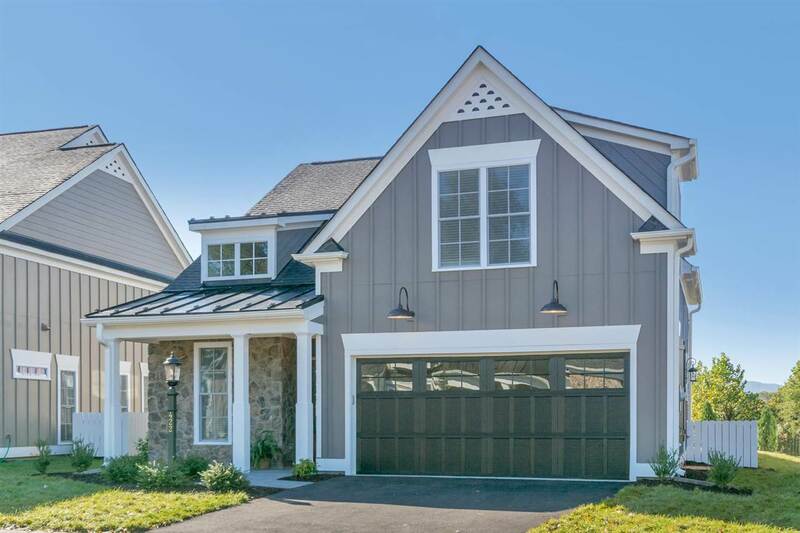 Old Trail is a walkable community in Crozet just a few minutes west of Charlottesville. Similar photos of previously built home. 4 kWp solar array included at this price! 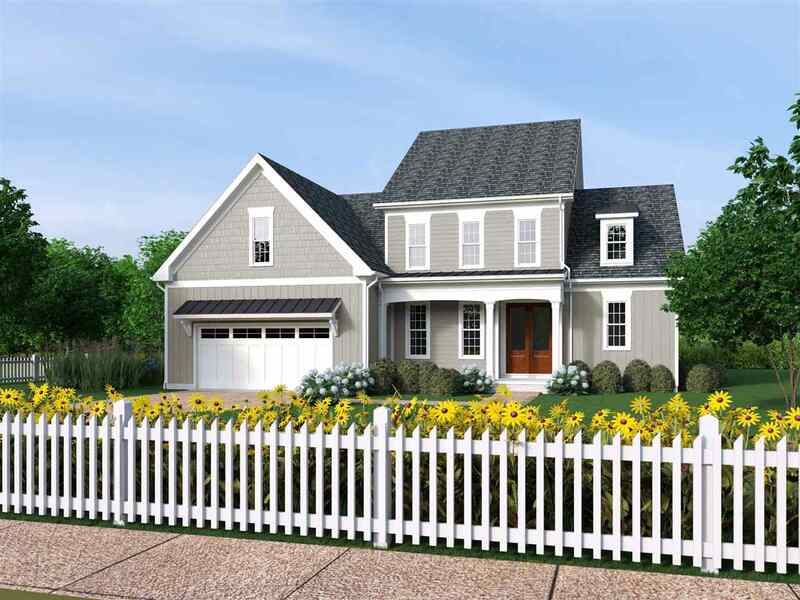 The Colton features an Enviable Master Suite w/Sitting Area, 3 Large BRs @ Upper Level PLUS Walk In Closets to die for! An Abundance of Kitchen Cabinets, Huge Center Island & Walk In Pantry, Open Family Rm, Formal Library, Dining Rm & 2 Car Garage. An Optional Main Level Guest Suite makes this home great for Multi-Generations. 9 Ceilings on Main and Upper Levels & many more inclusions & options. 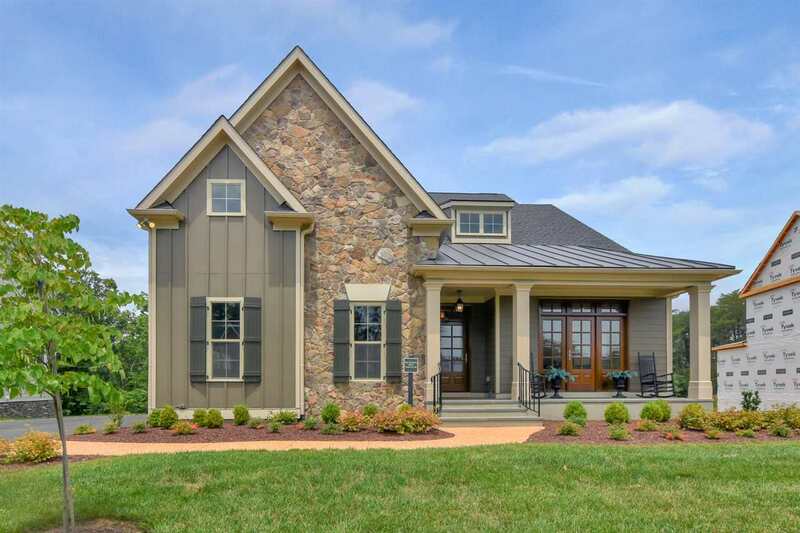 The Reserve at Oak Hill Farm offers a Private Enclave of 3/4 acre Wooded Homesites w/ Mtn Views only minutes from Downtown, UVa, I-64. Local Home Builders present the REMINGTON a proposed single family home in Hyland Park. The main floor of this home features a large open living area, eat-in island, informal dining, mudroom, study and first floor master bedroom. The second floor of the home includes 2 bedrooms with 1 full bath. Evergreen Home Builders standard level of finishes include: 3/4\" REAL hardwood floors on the main level and second floor hall, 48\" wall cabinets in kitchen with dovetail drawers, upgraded carpet and pad, upgrade tile in bathrooms, stainless steel appliances, quartz countertops, 2x6 exterior wall construction, upgraded trim with crown moldings. 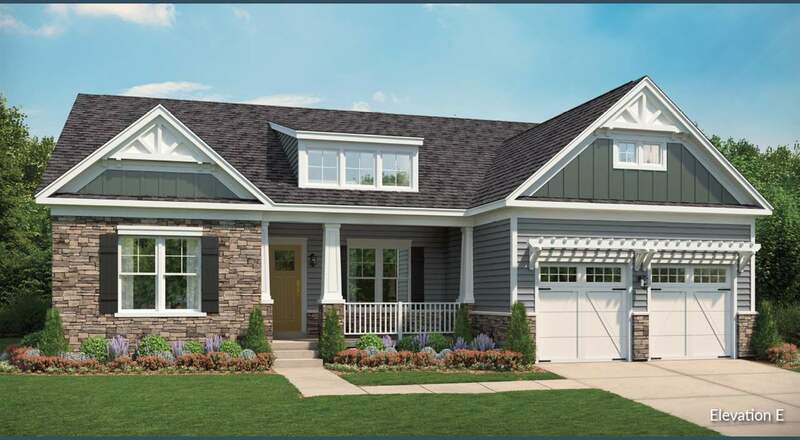 Evergreen Home Builder\'s presents the WHITLOCK, a proposed single family home in Hyland Park. The great room is perfect for entertaining or relaxing by the fire. The kitchen features an oversized island (almost 10 ft!) with seating for 4+. The informal dining room is situated between the great room and kitchen. A private study is located on the main floor in addition to a half bath. Upstairs the master bedroom enjoys two walk-in closets and large bathroom with tiled shower. Two additional bedrooms share a jack-and-Jill bathroom and a third a private bath. This home is built on a conditioned crawl space with an optional bsmt to boost the size to over 5,000 sf. Standards include real hdwd floors, 2x6 exterior walls, double hung windows! The 5 bedroom Monterey to be built in Westlake at Foothill Crossing, homesite 78. 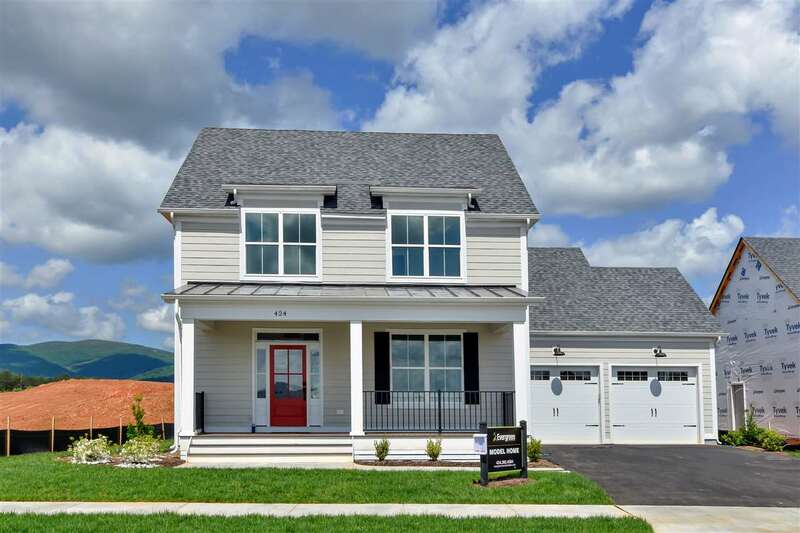 The community offers half acre homesites near Downtown Crozet, in western Albemarle County. Finished bonus room included. Quality built 2x6 exterior walls, custom mahogany front door, R-19 insulation, and 5\'\' plank hardwood. Kitchen includes painted maple cabinetry (white, gray, etc. shaker style), granite countertops (also in owner\'s suite), and much more. First floor gourmet kitchen, walk in pantry, e-space, dedicated study, spacious mudroom as well as second floor owner\'s suite with his and hers walk in closets. Bonus room/Bedroom 5 is finished at this price. Photos are of previously built model home. Meticulous Craftsmanship and Timeless Finishes in DUNLORA PARK, a neighborhood minutes from Downtown, UVA and all area amenities. This home offers a light-filled open plan suited for today\'s living including a large great room with fireplace that opens to a covered porch, gourmet kitchen with center island island and large pantry, dining room or study and luxurious first floor master suite. Standard finishes start with high quality materials and efficient products including 2 x 6 construction, 9\'ceilings, Pella Energy Star windows,extensive trim package, white oak hardwood floors, quartz and granite tops in kitchen and all bathrooms and gas furnace and heatpump. Custom local builder offers this Vinton 2 car garage home with open living space and a large kitchen island. The kitchen is well appointed with upgrade Tundra white 48\" cabinets and beautiful quartz countertops. Enjoy the gorgeous mountain views from your eat-in kitchen or on the rear covered deck. The finished basement rec room provides ample living space for the whole family. This home is scheduled for completion in February of 2019. Main-Level Living with breathtaking mountain views! This maintenance-free, amenity filled community is located in an convenient location, minutes to downtown, and offers beautiful views. 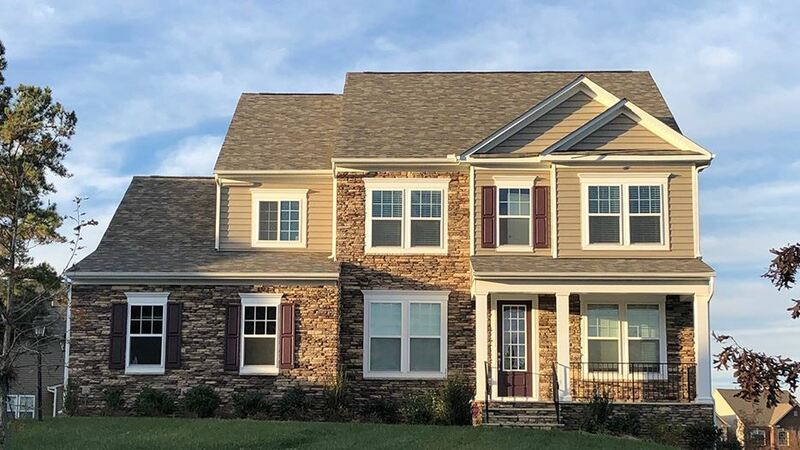 The Brookshire boasts an open main level with a first-floor Master, large Great Room featuring vaulted ceilings, Screened-In Porch, an abundance of windows, spacious upstairs guest bedrooms, a walkout basement (finishing optional) and much more! Fall 2019 Delivery. 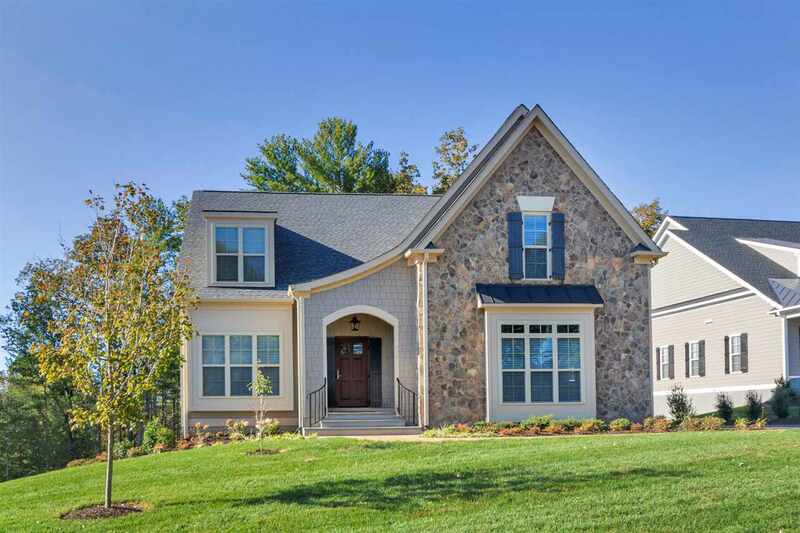 The Fabulous \"to be built\" home is located in Western Albemarle. Similar to these photos. Just minutes away from the schools, from shopping, from banking and from easy access to interstate 64. The home features hardwood and ceramic floors, 2 zone heat pump, unfinished basement and so much more. Now is the time to make changes or even select a different plan. The Possibilities are endless! New construction to be built on one of the last two 1/2 acre lots in Old Trail\'s Creekside neighborhood. The Travis is designed with our modern lifestyles in mind, with an open layout that still feels cozy and structural options that allow you to create the home that best works for you. This home has a first floor master suite with 3 additional rooms on the 2nd level, but can be modified to have both an upstairs and downstairs master. Unfinished basement comes included on any lot, with the option to finish the space. Green living features throughout for greater comfort and savings on utilities. Choose your lot and finishes and move in within 6 months. Photos shown are upgraded model home located offsite. Our to-be-built McKenney plan in Glenmore offers our popular MAIN FLOOR LIVING design w/ Master BR, Spacious Walk-In Closet & Luxury Bath + 2 BRs/Office ALL ON ONE LEVEL. Entertain in your Oversized Kitchen w/ Island & Breakfast Area, Large Family Room, Formal Dining Room, & Laundry off the Std. 2 Car Garage. Unfinished Basement, 9\' Ceilings, & many more included features. Glenmore offers 1/2 acre Homesites in a gated community only Minutes from Downtown. Introducing the newest addition to the renowned Glenmore Community, named Glenmore Highlands! 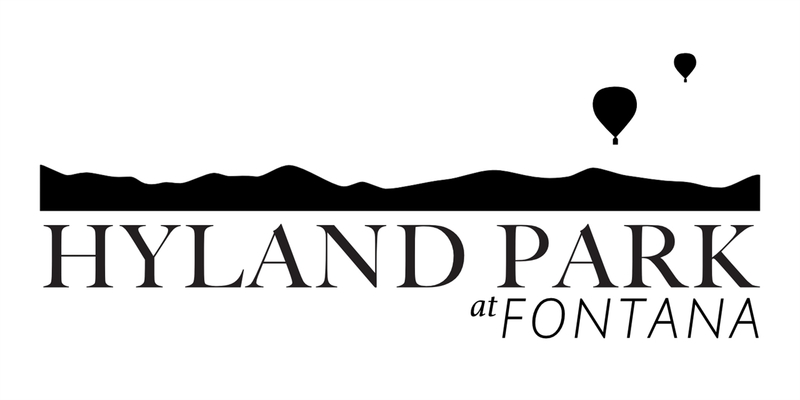 Offering custom-built, one level living homes with included lawn maintenance in Albemarle County\'s only gated, resort lifestyle community. Featuring the exclusive \'Glenmore Collection\' exterior, this striking home features local, natural stone and a custom mahogany entrance door. 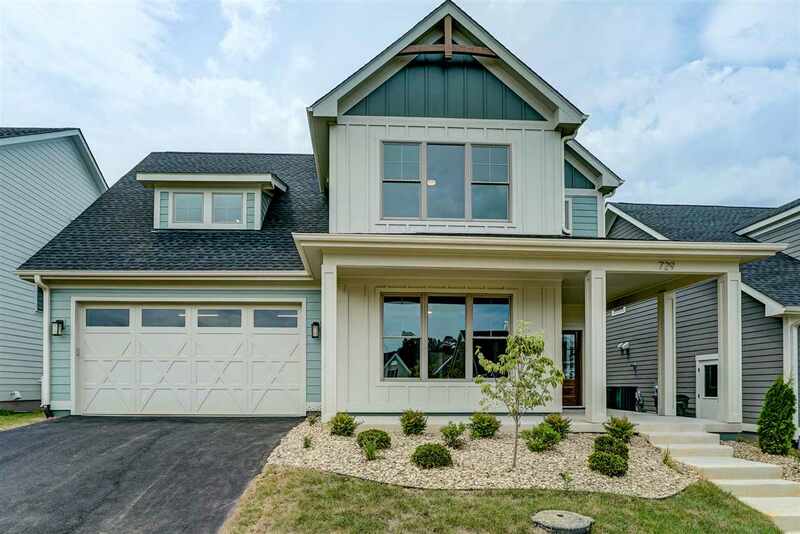 This \'Fairway\' Model offers a welcoming open floor plan with a two story Great Room that boasts tons of windows to maximize natural light as well as the views to the beautiful surroundings. The Fairway offers 2x6 exterior walls, a first floor Owners Suite and Laundry Room and additional 2 guest bedrooms, 2 full baths and optional finished Bonus Room upstairs. Main Level living in a maintenance-free community minutes from all things Charlottesville! The Fairway boasts a spacious first floor Master suite, a large Great Room with an abundance of windows & natural light, open kitchen and breakfast nook. The upstairs offers 2 Guest Bedrooms, 2 full baths & a Loft. This home has a walkout basement with a finished Rec Room (other finishing optional) and a 3-piece bath rough-in. The Whitlock plan offers expansive open living on the main floor with an oversized island and informal dining room. Hang out in the rear yard on the composite deck overlooking your 2 acre property. Kick off your shoes and store your coats in the huge mudroom right off the garage. The second floor includes 4 large bedrooms with 3 baths and a walk in laundry room. This homes is built on a conditioned crawl space but you can add a basement to boost the square footage to 5,000+. Evergreen level standards include: stainless appliances, real hardwood floors, 2x6 exterior walls, double hung windows, quartz counters and an elegant kitchen. Photos show examples of a finished home. The Newport to be built in Glenmore Highlands! 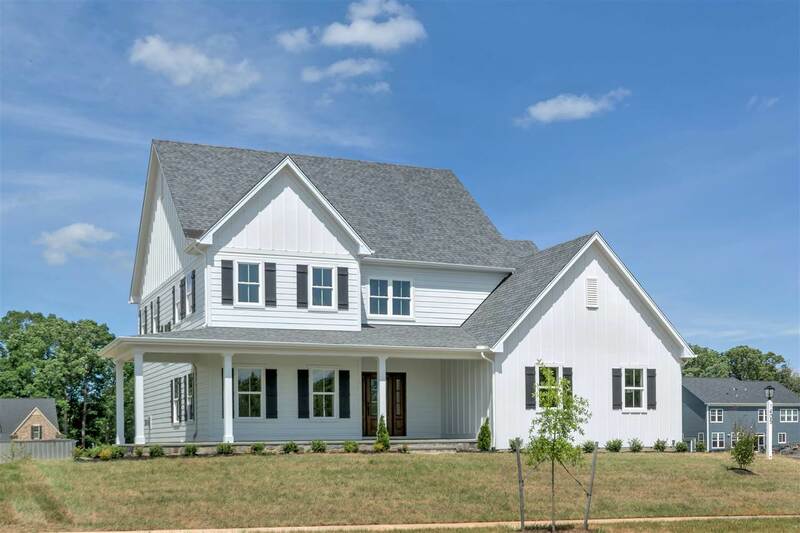 Offering custom-built, one level living homes with included lawn maintenance in Albemarle County\'s only gated, resort lifestyle community. Featuring the exclusive \'Glenmore Collection\' exterior, this striking home features local, natural stone and a custom mahogany entrance door. This \'Newport\' plan offers an open floor plan with a stunning Great Room that boasts a cathedral ceiling and tons of windows to maximize natural light as well as the great views. 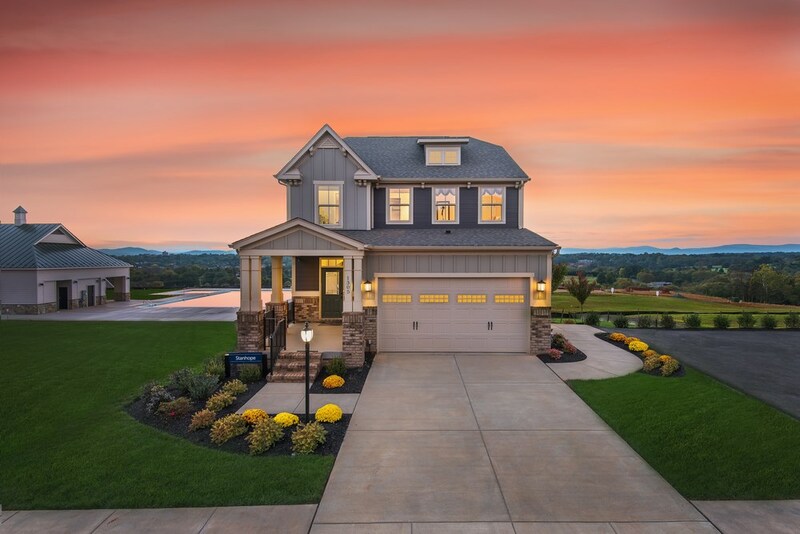 The Newport also offers 2x6 exterior walls, a first floor Owners Suite as well as 2 guest bedrooms with full bath all on the main level and an optional finished basement and 2nd floor bonus room. A model home is available for tour. Introducing the newest addition to the renowned Glenmore Community, named Glenmore Highlands! 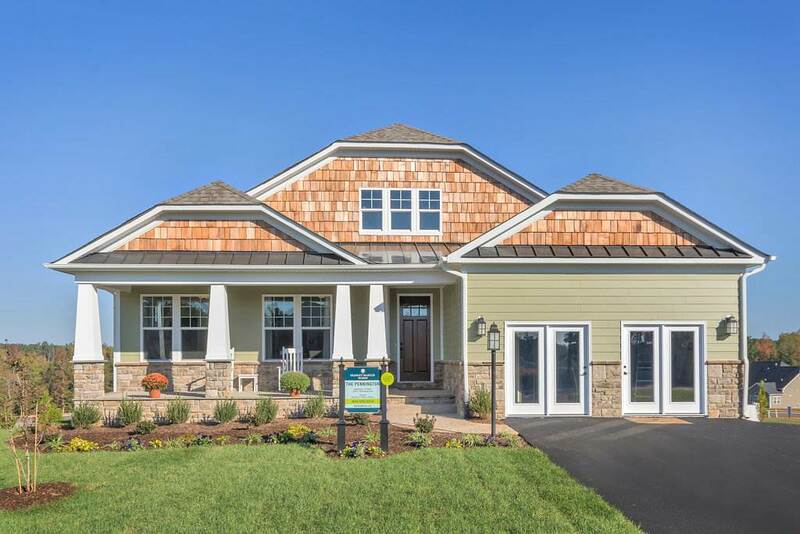 Offering custom-built, one level living homes with included lawn maintenance in Albemarle County\'s only gated, resort lifestyle community. Featuring the exclusive \'Glenmore Collection\' exterior, this striking home features local, natural stone and a custom mahogany entrance door. This \'Centennial\' plan offers an open floor plan with a stunning Great Room that boasts a cathedral ceiling and tons of windows to maximize natural light as well as the great views. 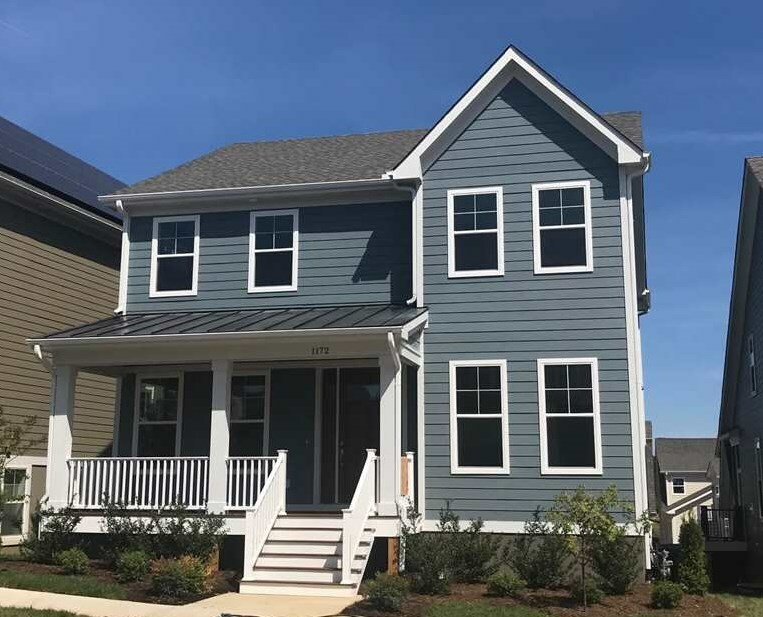 The Centennial offers 2x6 exterior walls, a first floor Owners Suite as well as 2 guest bedrooms, 2 full baths all on the main level and an optional finished basement and 2nd floor bonus room. Old Trail Villas - This interior unit Villa with finished walkout basement in an amenity filled, maintenance free setting in Crozet, VA, is not one to miss. Thoughtful features and inclusions throughout, including finished basement, chef style kitchen and large deck. The community features total walkability to everything Old Trail Village has to offer–coffee shops, hair salons, retail stores, restaurants, walking trails and more! Each customer will have the opportunity to make interior selections at the builder’s private Design Studio. Local Builder presents the CHATHAM, a proposed single family home in Hyland Park. The Chatham offers an open living space w/ a dramatic vaulted ceiling and fireplace. The kitchen features an oversized island with seating for 4. An informal dining room is located just off the back of the kitchen. The first floor master bedroom enjoys a large bath and walk-in closet. There is a private study on the main floor in addition to a half bath. Three additional bedrooms and 2 full baths with an option for a third are located on the second floor. This home is built on a conditioned crawl space with optional basement to boost the square footage to 5,000+. Standards include real hdwd floors,, 2x6 exterior walls, double hung windows! The Squire floor plan to be built in Westlake, Homesite 78. Quality built with 2x6 exterior walls, custom mahogany front door, R-19 insulation, and 5\" plank hardwood floors. Kitchen includes painted maple cabinetry (white, grey, etc shaker style), granite countertops (also in owner\'s suite), and much more. This is one of many floor plans to choose from. Want to make a change to the plans? On staff draftsmen can adjust the plans to make the home just right for each buyer. Photos are of previously built homes. 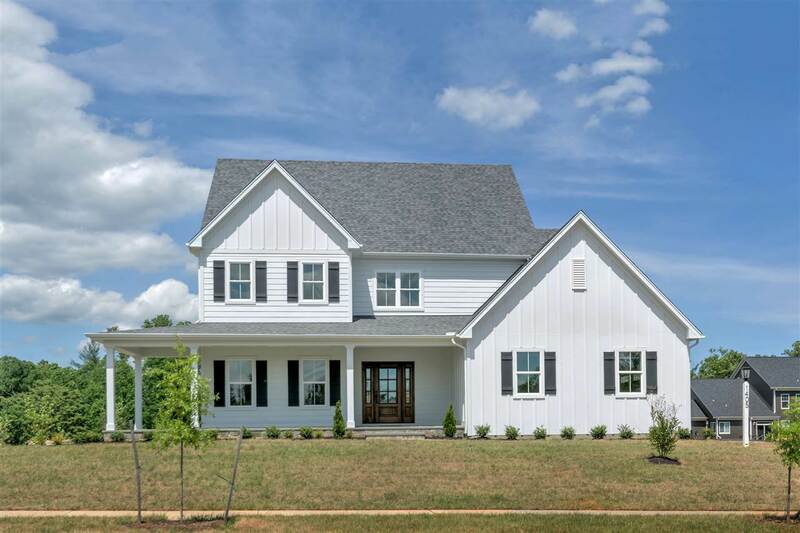 Fabulous contemporary farmhouse featuring generous front porch, sun-drenched open plan, soaring 10\' main level, study, four spacious 2nd level bedrooms, 3 full baths, unfinished walkout basement, 2 car garage with carriage house above... this one has it all. \"Killer\" gourmet kitchen features SS farm/apron sink, large island, pantry, painted maple cabinetry, and SS appliances. 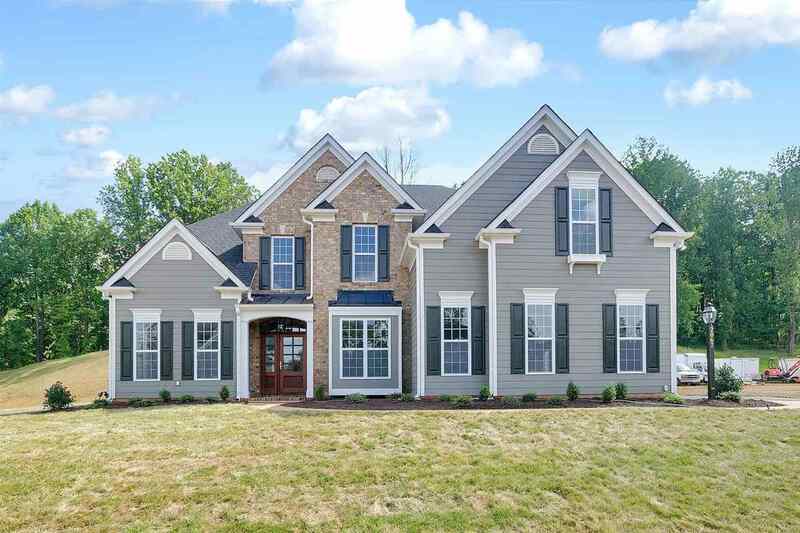 Gorgeous main level finish-in-place 5\" hardwoods, ceramic tile in all full baths, oversized trim, spacious owner\'s suite with finely appointed master bath. Superior quality and energy efficiency with 2 X 6 ext. wall construction w/ foam sealing, high efficiency HVAC, & tankless HW. 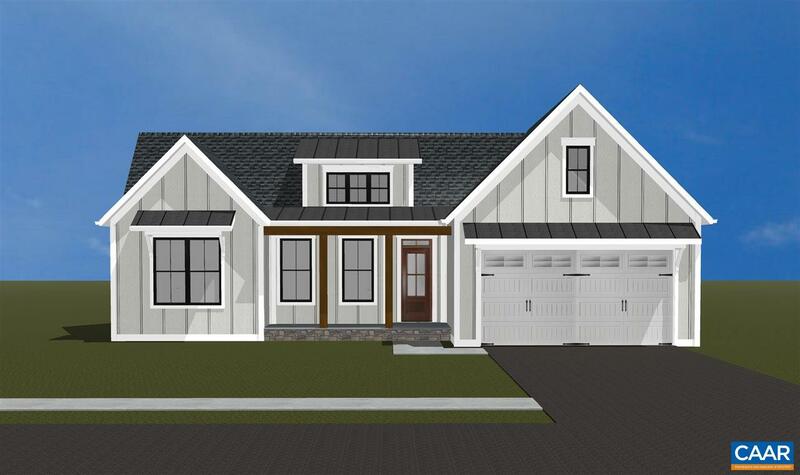 This 5 bedroom home to be built by Craig Builders in Westlake at Foothill Crossing, Homesite 79, with a finished bonus room and unfinished basement. Quality built with 2x6 exterior walls, custom mahogany front door, R-19 insulation, and 5\" plank hardwood all included. Kitchen includes painted maple cabinetry (white, grey, etc shaker style), granite countertops (also in owner\'s suite), and much more. On staff draftsmen can adjust the plans to make the home just right for each buyer. Builder will provide a move-in date upfront to make it easy to plan ahead. Also available without a basement at a lower price on another homesite. Photos are of a previously built home. 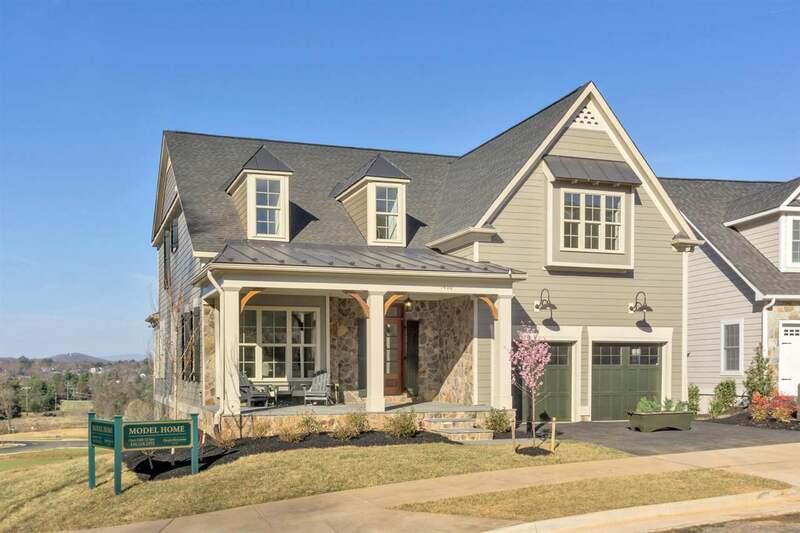 Live in desirable Old Trail with Blue Ridge Mountain views, public golf course, miles of walking trails, pool and more! Build a beautiful custom home that is unique, yet built with quality materials and style. 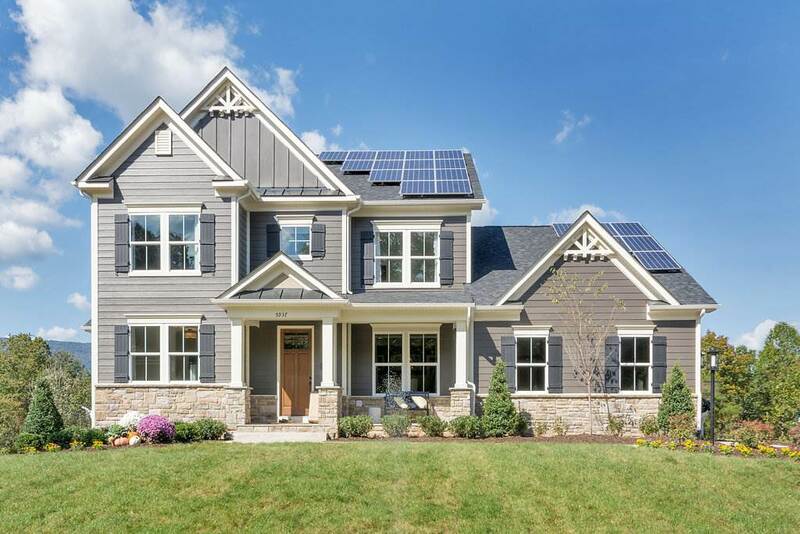 One of the best custom builders in Charlottesville creating unique homes with attention to detail, craftsmanship, and one of a kind, spacious floor plans that make sense! Open concept design includes family/great room open to dining room and gourmet kitchen w/unique walk in pantry, ample counter space, Kitchenaid appliances, quartz counters and more! Custom mud room and oversized laundry/mud room on 1st floor. 2\"x6\" exterior walls provide greater soundproofing and more energy efficiency. Customize your dream home today! Rare opportunity for New Construction without the wait. September completion, still time to make selections. 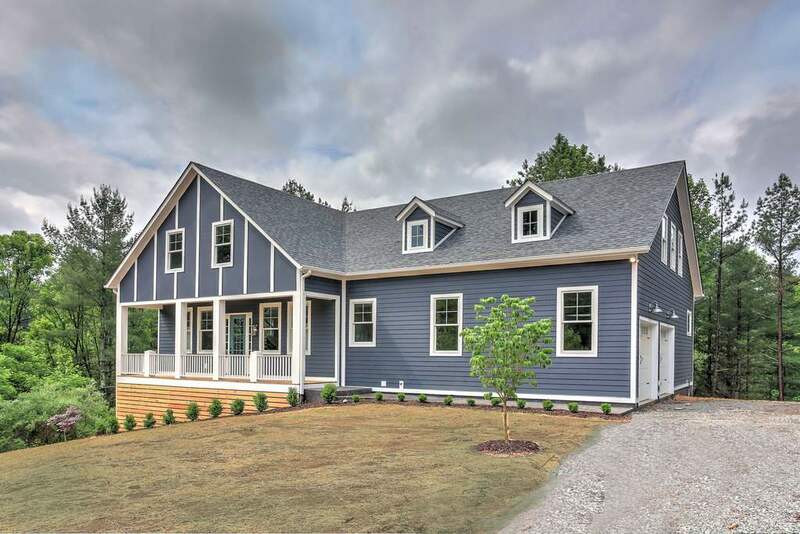 Farmhouse exterior and finished bonus room/bath included! Quality built with 2x6 exterior walls, custom mahogany front door, R-19 insulation, and 5\" plank hardwood. 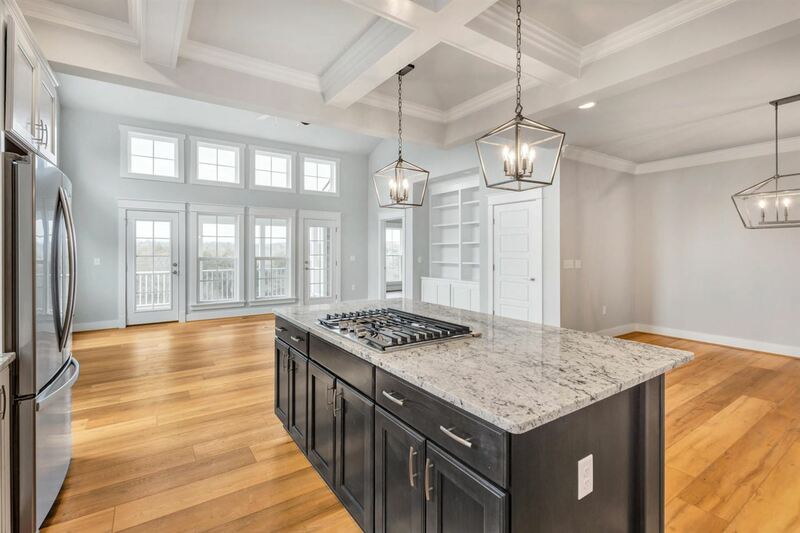 Gourmet Kitchen with painted maple cabinetry (white, grey, etc shaker style), granite countertops (also in owner\'s suite), and coffered ceiling. Spacious screened porch off of great room with vaulted ceiling, perfect for outdoor entertaining. Finished Bonus Room and full bath on upper level with adjacent, spacious storage area Photos are of model home. 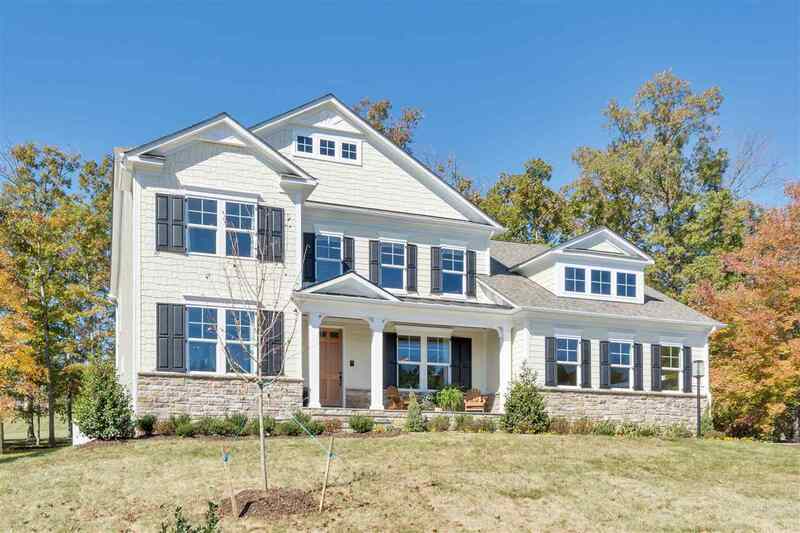 Charlottesville Newly Built Homes for sale.